The term pH is a measure of the concentration of hydrogen ions in a diluted solution. It can range from 0 to 14, with 7 denoting a neutral value. Acidic water has a pH below 7; alkaline water, above 7. The health effects of pH on drinking water depend upon where the pH falls within its range. The U.S. Environmental Protection Agency, which classifies pH as a secondary drinking water standard, recommends a pH between 6.5 and 8.5 for drinking water. According to the World Health Organization, health effects are most pronounced in pH extremes. 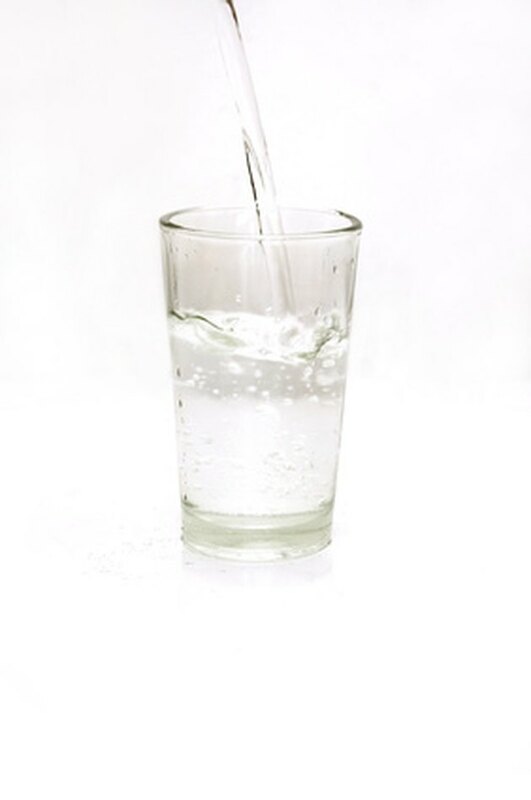 Drinking water with an elevated pH above 11 can cause skin, eye and mucous membrane irritation. On the opposite end of the scale, pH values below 4 also cause irritation due to the corrosive effects of low pH levels. WHO warns that extreme pH levels can worsen existing skin conditions. Other than the unpleasant aspect of foul-tasting water, low pH values generally have few negative health effects. Acidic drinking water can cause serious problems, however, through the leaching of heavy metals from plumbing systems. The nonprofit Water Systems Council warns that these toxic metals can include substances such as lead. The New York State Department of Health explains that lead exposure can lead to a host of neurological and reproductive problems, such as seizures, hearing loss and miscarriages. Ingestion of lead-tainted water is one way adults can become exposed to this toxin. Leaching of heavy metals causes a domino effect that can impact the gastrointestinal system. Overexposure to zinc from corroded pipes can cause nausea, vomiting or diarrhea. Overingestion of copper results in similar symptoms. These effects are not limited to heavy metals; high pH levels lead to similar ailments in sensitive individuals. Aquatic wildlife also suffer from the effects of pH extremes. Fish die-off occurs when pH levels dip below 4.5 or rise above 10, according to a report by the Northeastern Regional Aquaculture Center at the University of Maryland. Several external forces can cause fluctuations or extremes in pH, including bedrock degradation, acid rain, wastewater discharge and carbon dioxide. The impact on surface water is significant because more than 60 percent of the public water supply comes from surface water sources, according to the U.S. Geological Survey. Therefore, if fish are dying off due to low pH, this increases the possibility of other toxic effects caused by high ammonia levels, disease-causing bacteria and parasites.